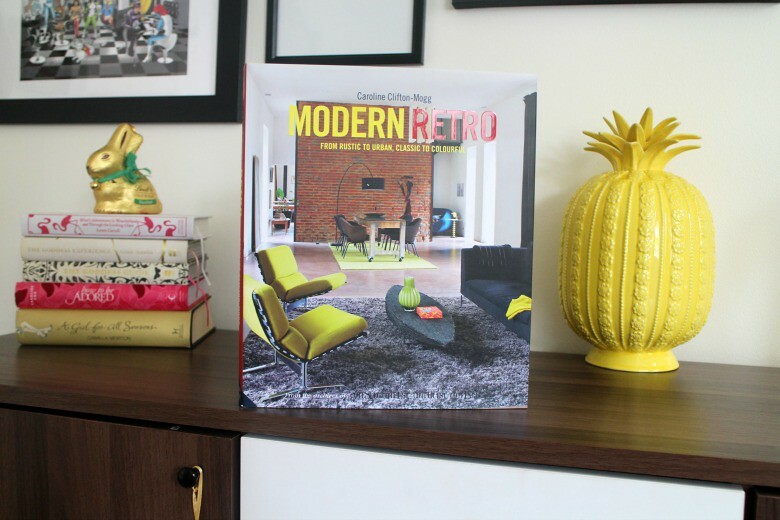 Modern Retro by Caroline Clifton-Mogg* arrived perfectly in the midst of the redesign of my front room and if I needed it confirmed perfectly I was on the right track. For those that have followed me blogging for some time will know that one of the main reasons I started to blog was my desire to live in my own home and decorate it. Back then I was all about shabby chic style and loved nothing more than shopping at boot sales for vintage treasures to decorate my home in, in fact I had read other titles from Caroline Clifton-Mogg during my 'research'. I have loved decorating my home over the years, and despite living in rented property I'm allowed something of free reign to decorate as I see fit and friends often marvel at how often I change my home. The problem is I haven't known quite what style is mine. I like modern and sleek, I like country and cluttered, white walls appeal but then I need colour, it's a common joke I like 'themes' but what do you do when you want to mould all of those themes into one home? As much as I'd love the Pinterest home of dreams it's important to have a home that you enjoy and the most important thing I've found, fits your lifestyle. For me that was 'Modern Retro' or Mid-Century Design. As Caroline describes in her book Modern Retro is about how to work twentieth century design with modern contemporary styles with a little vintage and antique thrown in. Throughout the book are inspiration images of real homes which I can only aspire to. I didn't want to immediately spend hundreds on antique furniture so instead went for cheap and cheerful Monty range at Very as something of a tester for the look I was going for. It mixes well with the side table which I took from my parents home, a tradition as it originally came from my mum's parents so it's a great piece I've finally been able to work into my home design. What one can always take from books of this style is ideas and confidence to put your own into practice. Yes a bright yellow armchair will work with a zebra print rug and more contemporary sofa despite being apprehensive. Using a book rather than a magazine means you have to work your own vision rather than having a pre-made shopping list to head to the store with. Also I find a home interior book can often be more enjoyable than magazines, often just filled with adverts. I love reading interiors books at bedtime, often far easier to digest than a regular book that can leave you up all night turning the pages. Modern Retro is filled with easily digestible chapters on every topic from lighting to camper vans so you can read a little or simply pour over the images. Where its a particularly room in your home or just one aspect in particularly you're looking to inject some colour or modern style then this book will certainly help with inspiration. 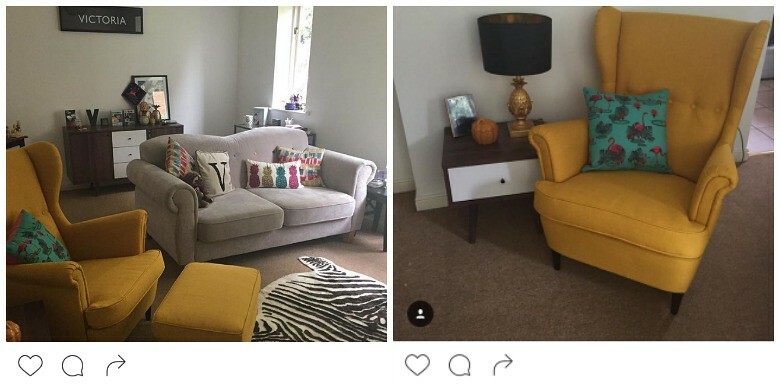 You can take a look at some images I posted on Instagram back in October when my living room was coming together. If you'd like a more detailed home tour let me know. 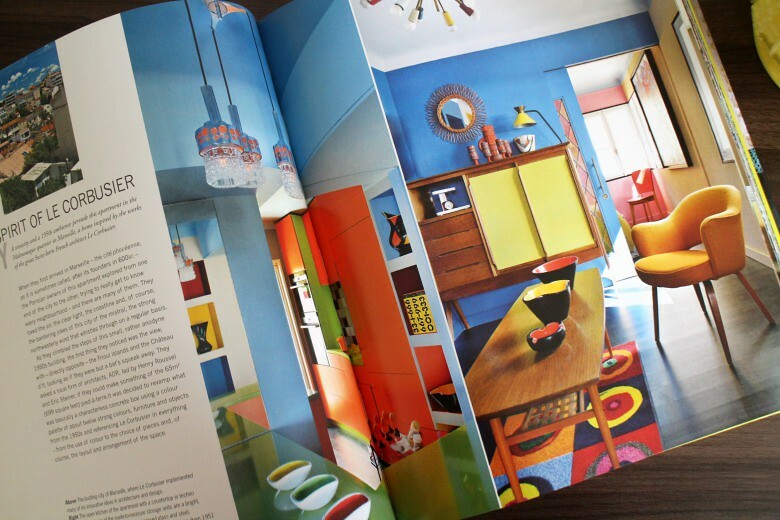 Are you a fan of home interior books? I want to know when you'll be bringing out an interiors book!